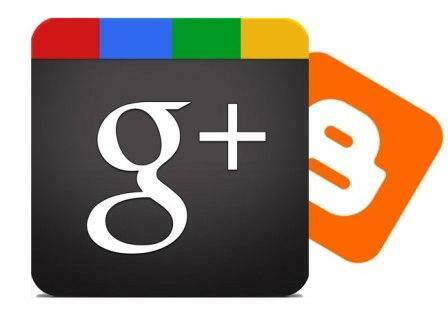 How to Automatically Share Blog Updates on Google Plus? Social Media promotion is every blogger's need. If a blog is an engine, then social media acts like a lubricant, without which a blog would stall. This is why bloggers need to share their awesome content so that people around the world can know about it. To that effect, Google is trying to help out bloggers by ruffling quite some feathers. Recently, Google released the Google Takeout service that lets you merge two Google Plus accounts together. Now, you can connect your Google Plus account with Blogger to easily share your posts and also gain recognition for your work on social media. A share box will automatically appear when you publish a post, with which you can instantly share your content with the world! We'll look at how we can do this in this post. Please note: This service is for Blogger blog only. It isn't available for WordPress or TypePad or any other publishing platform blogs. Also, Google makes it pretty clear that this feature is not available for you if you have adult content on your blog. This is Google's way to keep its social channel clean, which is a good thing. This trick will work only if you have your Google+ and Blogger profiles under the same Google Account with a common name. If both your profiles are under one account, then you are in luck. Simply log in to your blogger account, and go to your blog dashboard.In the top-right region of your screen, you will see a cog icon. Clicking on the cog, you will see an option to Connect to Google+. Click on that, and you will see a confirmation screen. You are ready to make the switch. Just check the "I've read...." box and click switch. If in the future, you want to disconnect the two accounts and revert to your Blogger profile, you can simply use the cog icon again, and there'll be an option to disconnect the two accounts. Once your posts are linked, you will see an option to share your posts right from your Blogger dashboard. This will also let you share your posts whenever you want, without having to deal with auto pop-ups. Besides this, whenever you publish a post, you will see a pop-up box appear that has sharing options. It is pre-filled for your ease, and you can add a comment as you like. You can also choose which circles you want to share the post with. By default, the option will be set to Public. If you don't like this sharing box, and if it's annoying you, you can simply disable it by going into Settings >> Posts and Comments.